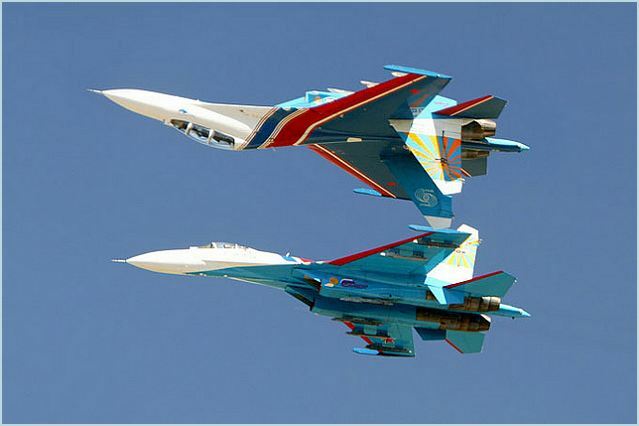 Russia will demonstrate the capabilities of military and civilian aicraft at Bahrain Air Show 2012. Russia will demonstrate the capabilities of military and civilian aircraft in Bahrain, first deputy Prime Minister Viktor Zubkov told Bahraini Prime Minister Khalifa bin Salman Al Khalifa. Zubkov thanked the Bahraini government for the invitation to take part in the air show again. "we brought one plane, a Sukhoi Su-27, last Time. Now we have four Su-27 fighter jets, an Ilyushin Il-76 Military-transport plane and a Sukhoi Superjet-100 regional jet," he Said. "Russia will make an impressive showing this year,"" Zubkov said, adding that the air show will hopefully be as successful as the one held in 2010 and yield good results. Al Khalifa said in turn that economic and political relations with Russia are becoming ""more concrete." He thanked Russia for joining the air show and for "the experience it brings here." Bahrain is well familiar with the Russian experience in aircraft construction, he said. "During the air show we will have a chance to see the capabilities of the Russian aviation industry," Al Khalifa said.